Be careful when selecting the firmware version. set of languages interface is different! Firmware need an extended system partition 1Gb. In all firmware when switching between HD and FHD mode after installing and running the firmware is not to panic, that the entire screen crooked, just reboot again. – You can't OTA upgrade firmware! You download firmware for Xiaomi phone, and we have ZOPO. 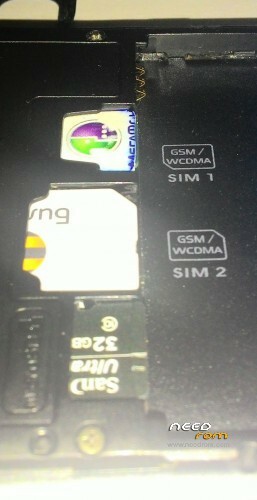 – 3G Internet only works on the first (small) SIM card. – Regardless of the amount of RAM in the properties shows 1Gb, but uses all available RAM. – ART does not work properly on this firmware. – In all firmware when switching between HD and FHD mode after installing and running the firmware is not to panic, that the entire screen crooked, just reboot again. – If you have a crashes in the first initialization, try to get first initialization of the English language, and then in the settings, select your own language. – If you do not activate Mi account, try to activation of the English language, and then in the settings, select your own language. Run the program requires root rights and close it. Go to the program security -> permission -> root access. There you will see all the programs that have ever asked for root. Conversely relevant programs tap slider and agree with all the warnings. Restart your program and it gets root right. Additional software is not required! For those who have in applications like Viber, WhatsApp, VK… messages arrive only after turning on the screen. Go to Settings -> Additional settings -> Battery -> Manage apps battery usage -> disable! or uncheck needed apps. Apps must be added to the startup. 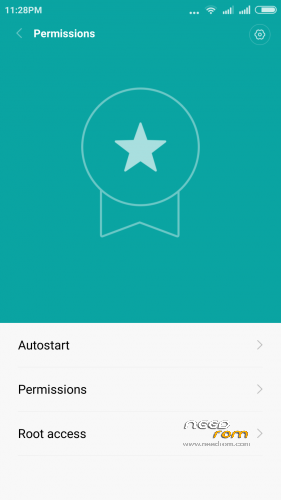 Program Security -> Permissions -> Autostart. Starting with version 5.10.15 in the camera settings there was an option where you can select where to save pictures. If option "save to external memory" is on will be saved to the external SD card, and off on the inside. Delete the Google Calendar app, sync calendar in settings, install Google Calendar from the playmarket, or not to use it. 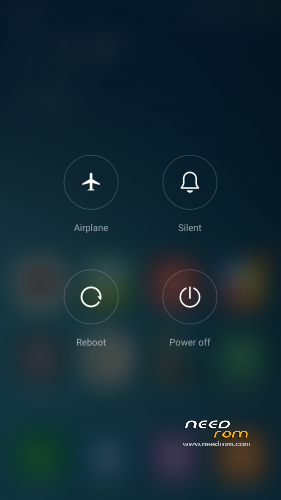 Press both "volume+" and "on"
MIUI official developer team for the excellent firmware. 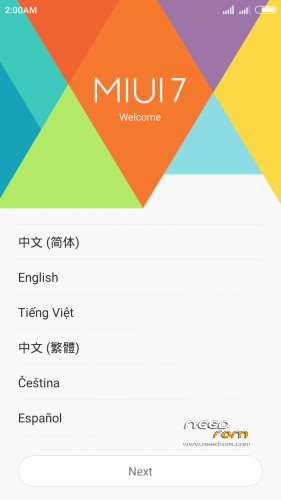 Team MultiROM.me, xiaomi.eu, miui.su and MiuiPro.ru for translations. Amarullz for the excellent app: Aroma Installer. paolothlw8 for global opportunity just to install firmware on Android 4.4 KitKat. mSH for compiled the kernel source, with the corrected settings for the proximity sensor. dreamer7 for compiled the kernel source, with a lot of tweaks. 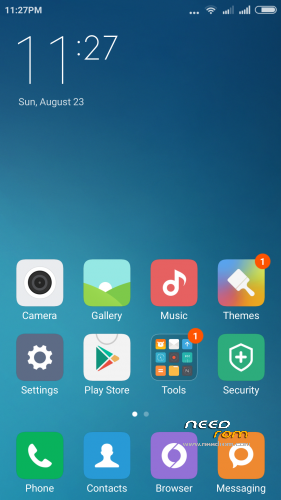 Ancifer for MIUI ports from Multirom.me, I picked at it and was able to reproduce them and that gave information about the principle repacking of boot.img. SergeyProl for config`s template for Aroma (got with him ModifyRom). andrey_artphoto for a mod to disable the sound when a USB is connected. Dark Star for translation English Installation. Dave@NeedRom for their help in support in the English language. 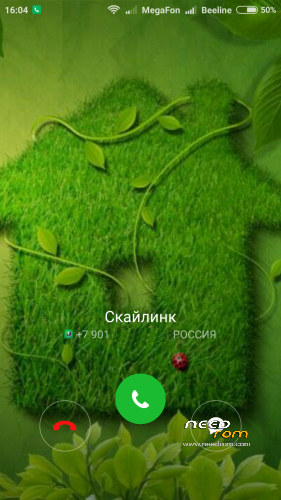 Creators, Administrators, Moderators, Curators forums china-iphone.ru and 4pda.ru for creating and maintaining a human-readable form of the above forums. All forum users who gave advice. All kernels taken from boot paolothlw8, mSH and dreamer7. For C3 is physically no modifications proximity sensors and rotation sensor, with any choice of settings of the sensors will be installed the default kernel. 1.1. P - paolothlw8, The Italian master ,building for the first kernels Android 4.4 KitKat. Present all possible modifications. 1.2. M – mSH, Magician with china-iphone.ru forums, make us a kernels with a correct a proximity sensor (ALSPS). There are no modification: Alt and HD. 1.2. D - dreamer7, Developer with china-iphone.ru forums, make a kernels with a lot of tweaks. Present all possible modifications. 2.1. C2 – ZOPO C2 or ZOPO ZP980. 2.2. C3 – ZOPO C3. 2.3. C7 – ZOPO C7 or ZOPO ZP990. 3.1. A – Default setting. 3.2. 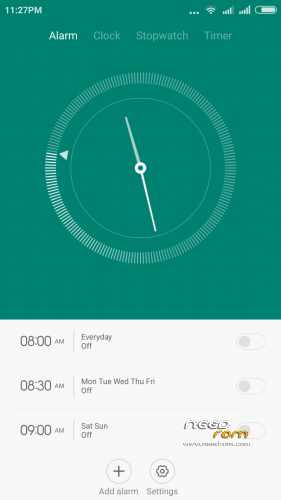 B – Should be selected if the A modification in landscape phone position – picture flipped upside down. 4.1. Norm – Default setting. 4.2. ALSPS – Reconfigured sensor Norm respected mSH, to choose if Norm does bad work, but it works. 4.3. Alt – Alternative sensor, if selected Norm or ALSPS does not work just do. 5.1. 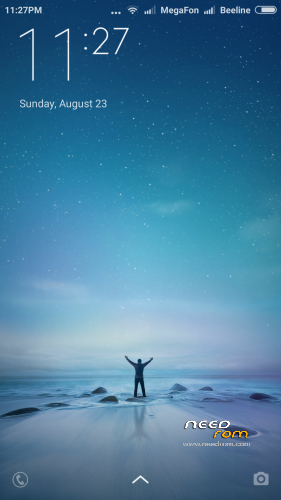 FHD – Full HD (1280×1920) – phone screen native resolution. 5.2. HD – HD Ready (720×1280) – donor rom native resolution (reduce memory consuming, accelerate 3D application). 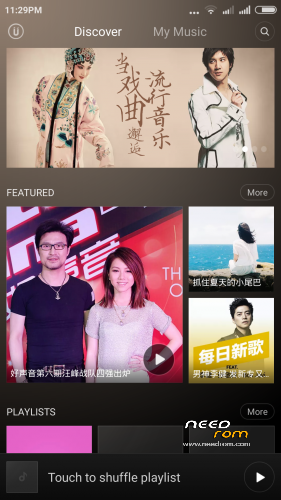 [U] Base firmware changed to MIUI v7 5.10.15. [U] Base firmware changed to MIUI v7 5.10.8. [U] Base firmware changed to MIUI v7 5.9.24. [U] Base firmware changed to MIUI v7 5.9.17. [U] Base firmware changed to MIUI v7 5.9.10. [U] Base firmware changed to MIUI v7 5.9.1. [U] Base firmware changed to MIUI v7 5.8.27. [+] Add selection of boot animations. [U] Base firmware changed to 5.8.6 Xiaomi.eu (multilanguage). [U] Base firmware changed to 5.8.6 Multirom. [U] Geomagnetic sensor is working now. [U] Base firmware changed to 5.7.31 Multirom. [+] Added English translation on Aroma Installer. [+] Added kernel for alternative proximity sensor. [+] Added selection of boot animations. [O] Now disable s2w use to init.d (works on alt kernel. [O] Quantity of kernel modifications was reduced without loss of functionality. [F] fixed bug of setting app. [+] In the pre-installed apps added the Amazon Appstore. [U] Base firmware, changed to 5.7.26 Multirom. [U] Base firmware, changed to 5.7.23 Multirom. [+] Added a modification to disable the annoying sound when you connect USB. [O] Application app4pda, mobile Uncle tools is put in the menu. This firmware is provided "as is". The author disclaims all related warranties, including all implied warranties of merchantability and compliance with the intended use. The author shall not be liable for any special, direct, indirect or induced by damages, and any damages for loss of use, loss of data or profit, under the action of the obligations, negligence or other malicious actions that occur without or in connection with the use or performance of this software. If you want to share with friends this file, please post a link to this page, not the file itself. Increasing the System partition to 1.0 Gb with simultaneous increase of the Data partition. Suitable for those who have the native phone memory partition. System1Gb-DataStock.zip —- increases the /system partition up to 1GB, /data partition to 1.5GB. System1Gb-Data2.5Gb.zip —- increases the /system partition up to 1GB, /data partition up to 2.5GB. System1Gb-Data5.0Gb.zip —- increases the /system partition up to 1GB, /data partition up to 5GB. System1Gb-Data10.0Gb.zip – increases the /system partition up to 1GB, /data partition up to 10GB. 1. There will be formatted partitions System, Cache, Data and Emmc (internal SD) – save data if necessary! All data in internal Sd will be destroyed! Be careful when performing the instructions! Thoughtfully read and not to deviate from the above course of action. Pay particular attention to the strict implementation of the right step 3. For any wrong-doing will be a brick! First, make a backup of the existing firmware and/or copy to an external SD card file with the new firmware, which will be installed after repartition. After performing the following steps will have a mobile repartition phone WITHOUT SYSTEM, it is necessary to reinstall or restore from backup! 1. Take the patch from the folder "Patches for Recovery", for example, System 1Gb-DataStock.zip, copy it to the SDcard (extSDcard – a removable SD flash drive and nothing else!). 2. Install it through Recovery (I recommend CWM 6.0.4.4). 3. Reboot again in recoveri and format partitions System, Cache, Data. 4. Connect your phone to your PC, go to the Recovery section mount, and mount intSDcard – internal memory as a USB-drive to your PC. And with the PC format the intSDcard – internal memory in fat32 (cluster size you can leave the standard). Restoring from a backup you firmware or install the new. 1. Do not repartition the memory in other ways, before return to the native Memory partition – get a brick. 2. Whatever you do – do at your own risk. 3. The archives with patches has detailed instructions on rusiian language. This patch is only for ZOPO C2 with 4GB ROM !!! This patch for ZOPO C2 / ZP980 / ZP990 with 16 / 32GB ROM !!! This recovery only for repartition!!! Attention!!! All data on internal SD will be lost!!! This patches are installed only on the native memory partition! System-1Gb Data-Stock – System partition is 1Gb, Data partition is default. System-1Gb Data-2,5Gb – System partition is 1Gb, Data partition is 2,5Gb. System-1Gb Data-10Gb – System partition is 1Gb, Data partition is 10Gb. System-Stock Data-Stock – Default partition set. C2-4Gb System-1Gb – System partition is 1Gb, Data partition is default. C2-4Gb System-Stock – Default partition set. 1. Copy rom into your external sdcard. 2. Copy zip file with the partition type into your external sdcard (for 32Gb version recomended System1Gb-Data5.0Gb, for 4Gb version – ONLY C2_ROM-4GB_System_1.0gb). 3. Wipe -> advanced: dalvik cache, cache, data, android secure, system. 5. Install zip file with the partition type. 7. Wipe -> advanced: dalvik cache, cache, data, emmc, android secure, system. 9. Install rom with needed options. If you have an error: error executing updater binary in zip when installing these patches, it means you already made the repartition other method. In order to apply these patches, should be return to the native partition. You can do this by using SPFlashTool3 by installing the stock firmware use button Firmware Upgrade. 1. Make sure again that you have Extended the System to 1.0 Gb. 3. Make a full backup. 4. Copy the archive file of the firmware on the internal or external SD card. 5. In TWRP Recovery do all wipes except flash drives. 7. Install the firmware. The installation process in detail accompanied by a dialog menu and additional information. 8. After the system boots, do not rush to use the phone, give him a lie down for 5 minutes and then restart it. 1. Copy the archive file of the firmware on the internal or external SD card. 2. Make a full backup. 4. Install the firmware. The installation process in detail accompanied by a dialog menu and additional information. 6. After the system boots, do not rush to use the phone, give him a lie down for 5 minutes and then restart it. Work for me…on my Zopo C2 Platinum Edition (black) with 1gb ram and 16gb internal storage. You can't OTA upgrade firmware! You download firmware for Xiaomi phone, and we have ZOPO. I recommend to freeze the app still "Updating". 3G Internet only works on the first (small) SIM card. Very strongly lags the built-in gallery (problem inherited from Xiaomi Red Rice). Regardless of the amount of RAM in the properties shows 1Gb, but uses all available RAM. Its really great ROM and nicee. I already used around 2 weeks. maybe this is happen justto my zopo c2. if I turn on wifi my zopo like sleeps of deaths. the screen turn off. could i know your opinion about the problem? Very rare issue, patterns not found. 1. When installing choose the option to disable s2w. 2. As a last resort – do not disable wifi in sleep mode. Other solutions to this problem was not found. Just checked, everything is set correctly. IIf you bet over a previous version. You have a extended system partitiom – 1Gb?